Don’t tell just half of your story. Keep shooting from your kayak, while rappelling down a cliff, or riding a waterslide with the kids. 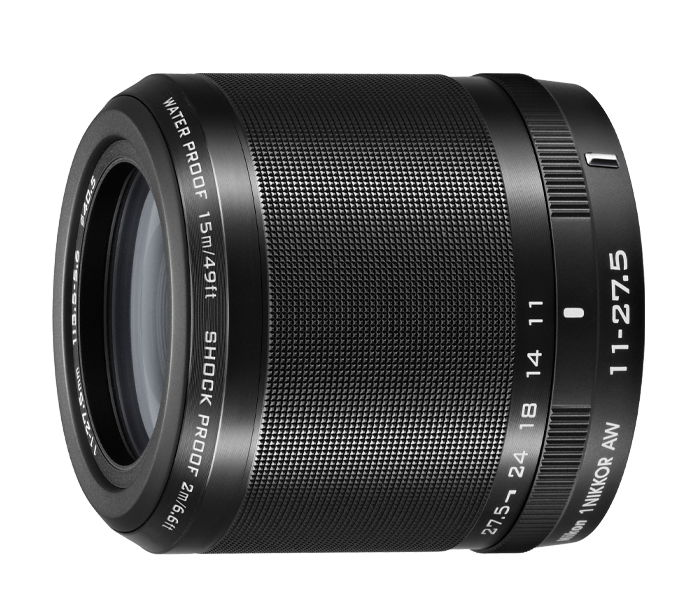 The 1 NIKKOR AW 11-27.5mm f/3.5-5.6 zoom lens is ready for all of life’s moments. Waterproof down to 49 feet, it captures rich beautiful colors with the Nikon 1 AW1's Underwater White Balancing. Rugged shockproof construction withstands up to 6.6-foot drops.